Debbie Kennett is the author of DNA and Social Networking (History Press, 2011) and The Surname Handbook (published by the History Press in October 2012). She is the administrator of three DNA projects at Family Tree DNA – the Devon DNA project, the Cruise/Cruse/Cruwys DNA project, and the mtDNA haplogroup U4 project. Most people will know the names of their grandparents and perhaps their great-grandparents. With careful research the avid genealogist can often trace his or her family tree back for many more generations, but there always comes a point where the written records run out. Yet hidden in our DNA we each have our own historical record which can tell us not only about our recent ancestors but also our deep ancestry going back for many thousands of years. In this article we will look at the three different types of DNA test and how they can help you learn more about your ancestry and your Celtic past. The Y-chromosome DNA (Y-DNA) test can be used to explore the direct paternal line, which in most cultures corresponds with the transmission of surnames. Women do not have a Y-chromosome and the Y-DNA test has to be taken by a male, though women usually have a brother, father, uncle or cousin who can take a test on their behalf for the surname of interest. The Y-chromosome is passed on from father to son virtually unchanged, but every now and then small mistakes occur in the copying process. By examining these tiny differences in the Y-DNA we can work out how closely two men are related. The standard Y-DNA test looks at 37 locations on the Y-chromosome which are known as markers. Your markers are then compared with other men in the database to see who you match. With a 37-marker test fathers and sons, brothers, and first cousins will usually match on 37/37 markers or, rarely, 36/37 markers. Eighth cousins sharing a common ancestor back in the 1600s might match on 35/37 markers. If you have too many mismatches you will not share a common ancestor within a genealogical time frame or, in other words, from the time when surnames came into being. Y-DNA tests are typically used in surname projects to explore the origins of a surname and to establish how many lineages are related. A man with a surname from Scotland might match another man with the same surname from Ireland and this will confirm that the two branches are connected even if there is no paper trail to prove the link. Similarly, if your research is stuck in Virginia in the 1600s a match with another man “across the pond” will tell you where your surname originated. Family Tree DNA is the market leader in the field of genetic genealogy. They were the first company to introduce the Y-DNA test back in the year 2000. They now offer the widest range of tests and, most importantly, they have the world’s largest genetic genealogy database giving you the best chance of finding a match. Y-DNA tests are normally co-ordinated within surname projects, and there are now almost 7,000 surname projects at FTDNA. The company also hosts many large geographical projects. The Scottish DNA project is administered by a team at the University of Strathclyde in Glasgow and has almost 5,000 members. The Ireland DNA project has over 4,600 members, and the Wales project has almost 500 members. A new project has also been set up to explore the Y-DNA of Cornwall, the English county which has been most influenced by the Celtic culture. There are also numerous projects for Scottish and Irish clans such as Clan Fraser and Clan Donald. The Y-DNA test can also be used to explore your deep ancestry. When you receive your DNA results you will be given a haplogroup assignment. A haplogroup is a broad population grouping of people who belong on the same branch of the tree of mankind. Ultimately all men share a common ancestor known as Y-chromosomal Adam who is thought to have lived about 140,000 years ago. The descendant branches of Y-Adam are given names using different letters of the alphabet. Haplogroups A and B are mostly found in Africa, whereas haplogroup C is found in Asia. Haplogroup R1b is the most common haplogroup in Western Europe and has an especially high incidence in Spain, Portugal and Western France. It is also the predominant haplogroup in the British Isles and is found in about 70% of English men and over 90% of Irish men. The haplogroups have lots of sub-branches known as subclades, many of which arose in the last few thousand years and which often have precise geographical origins. To find out your subclade you need to test for special markers known as SNPs (pronounced “snips”). One particular subclade identified by the marker L21 is particularly associated with Celtic ancestry. A branch of L21, known as M222, is the subclade of the Ui Neill Clan, the descendants of the semi-legendary Niall of the Nine Hostages. A woman passes on her mitochondrial DNA (mtDNA) to her sons and daughters, and an mtDNA test can be taken either by a man or a woman. However, only women can pass on mtDNA to the next generation, and an mtDNA test will therefore track the direct maternal line (your mother, your mother’s mother, your mother’s mother’s mother and so on). It’s much more difficult to research the female line because the surname changes with each generation, but an mtDNA test can also help you to explore your deep ancestral origins on your maternal line. We all descend from a single woman known as mitochondrial Eve who lived about 200,000 or so years ago. The daughter branches of Eve are again divided into haplogroups which have distinct geographical origins. Haplogroup H is the most common mtDNA haplogroup in Western Europe, and is found in about 40% of the population of the British Isles. 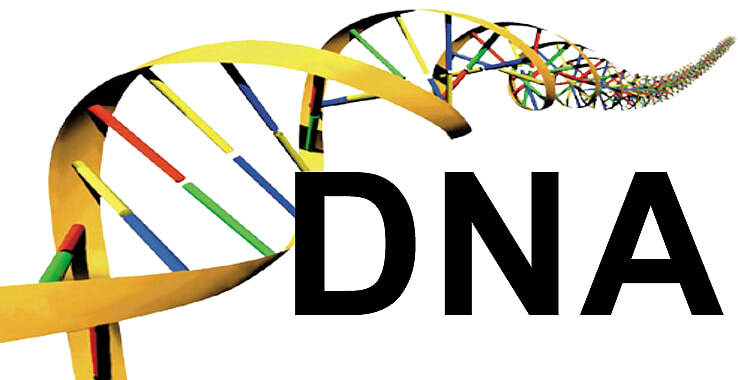 FTDNA’s mtDNAPlus test will tell you your haplogroup and will give you matches within the company’s large database. The gold standard mtDNA test is the full mitochondrial sequence test from FTDNA which sequences the entire mitochondrial genome. This test gives a detailed subclade assignment and the matches are more likely to be within a genealogical time frame. The Family Finder test from Family Tree DNA is the newest DNA test and was introduced in the spring of 2010. It looks at around 700,000 markers across the entire genome. Autosomal DNA is shuffled up with each new generation, and passed on randomly. Relationships can be predicted based on the number and length of shared segments of DNA. The larger the segments the closer the relationship will be. The test can be taken by both men and women and will help you to find connections on all your ancestral lines, but is best suited for finding matches with close cousins within the last five or so generations. It is an exciting time to participate in the world of genetic genealogy. The Y-DNA and mtDNA tests have been available for more than a decade. Family Tree DNA now has almost 250,000 Y-DNA results in its database and nearly 150,000 mtDNA results so most people stand a good chance of finding matches. The tests will put you in touch with your genetic cousins from around the world and can be used as an aid to genealogical research and to explore your deep ancestry. Each haplogroup has its own story to tell and by testing the Y-DNA and mtDNA of living people we have a unique window into the past. The more people who take these tests the more we will learn about the migratory paths of our ancestors on their journey out of Africa.